If the 2016 race for the White House was any indication, anyone who actually wants to become president has to be at least a little bit off their rocker. Indeed, throughout our country's history, many of the men who ultimately served as the presidents of the United States have had some pretty head-scratching facts attached to their biography. Here now are the very strangest U.S. presidents we've seen. Long before Abraham Lincoln became the 16th U.S. president or or issued the Emancipation Proclamation or hunted any vampires, he briefly paid the bills by running a combination store and bar in partnership with his friend William F. Berry. There was only one problem with this scheme — Berry was a notorious alcoholic. After owning the store for several months, Berry applied for, and received, a "tavern permit" for their business — he may even have forged Lincoln's signature on the joint bond application. It should be noted that Lincoln was not a fan of selling booze by the individual drink in their store, and this disagreement ultimately led to the end of their partnership. But for a period of about three weeks in 1833, you could have walked into Berry & Lincoln in New Salem to load up on gingham fabric and seeds for your farm, all while slamming down a peach brandy or Holland gin, possibly served up by the future president himself. After Berry started drinking up all the profits himself, Lincoln noped out of the situation — selling his share in the store to Berry, who died just a couple of years later — saddling Lincoln with all the store's accrued debts. Lincoln ended up taking a job as the New Salem postmaster to pay back all the debt. 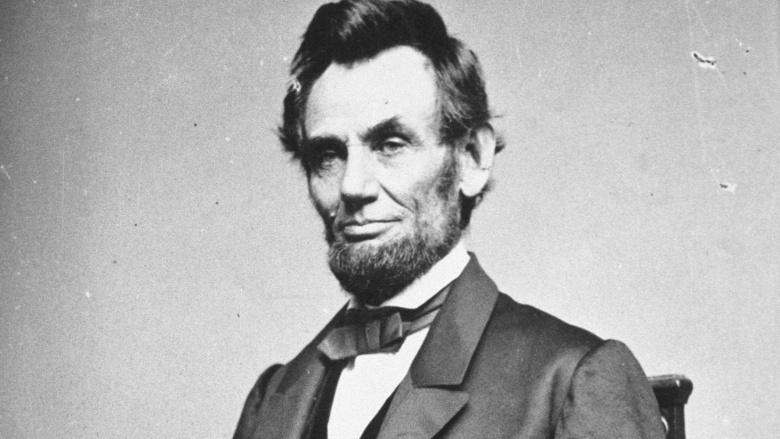 Apparently, Honest Abe had never heard the old adage, "never go into business with friends." Now, here's something that could have only happened in the age before the internet and smartphones. 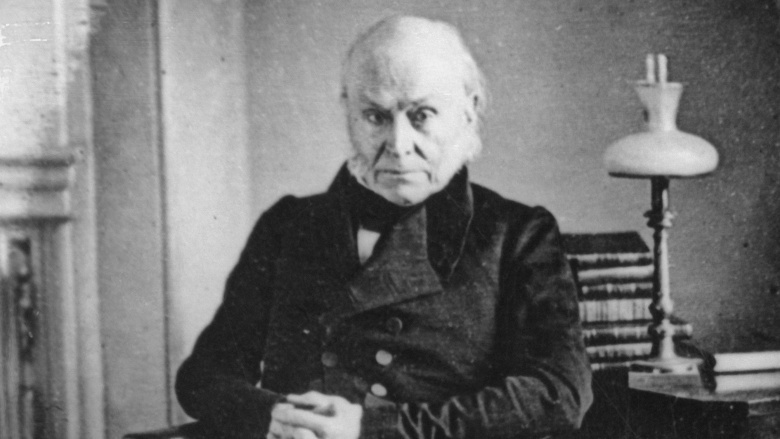 According to many reports, including one from the New Republic, John Quincy Adams — who, for those who did not pay attention in history class, was the sixth U.S. president – had a pretty big thing for skinny-dipping. Indeed, one of the 40-plus men to hold office in the White House loved to take off his clothes and go for a quiet dip in D.C.'s famous Potomac River. Way back in the day, the law stated that anyone found guilty of first-degree murder must be hanged by the neck, and that the execution must be carried out by the sheriff of that particular county. 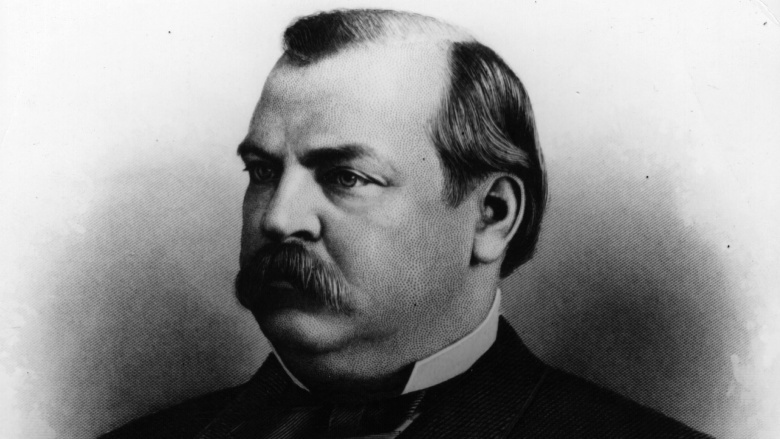 According to a New York Times article published all the way back in July 1912, Grover Cleveland actually had to carry out this law while he served as the Sheriff of Erie County back in 1872. At one point during his term, a young Irishman named "Jack" Morrissey was sentenced to death after being convicted of killing his mother. The Times writes that Cleveland "surprised the community and his friends" by announcing that he would, in fact, go through with performing the execution. Much of Cleveland's motivation was fueled by the fact that he was sick of people passing off the "obnoxious and degrading" task of executing murderers to the office's Deputy Sheriff Jacob Emerick, whom the public had nicknamed "Hangman Emerick." "Jake and his family have as much right to enjoy public respect as I have," Cleveland was quoted as saying, "and I am not going to add the weight that has already brought him close to public execration." After performing Morrissey's execution, Cleveland was reported to have been sick for several days. "He was not so stolid and phlegmatic as very any persons have been led to believe," the Times wrote. Is the truth really out there? According to former President Jimmy Carter, maybe. Politico writes that in 1973 the governor of Georgia claimed he saw an Unidentified Flying Object during a 1969 visit to the Lions Club in Leary. "It was the darnedest thing I've ever seen," Carter later said of the alleged sighting. 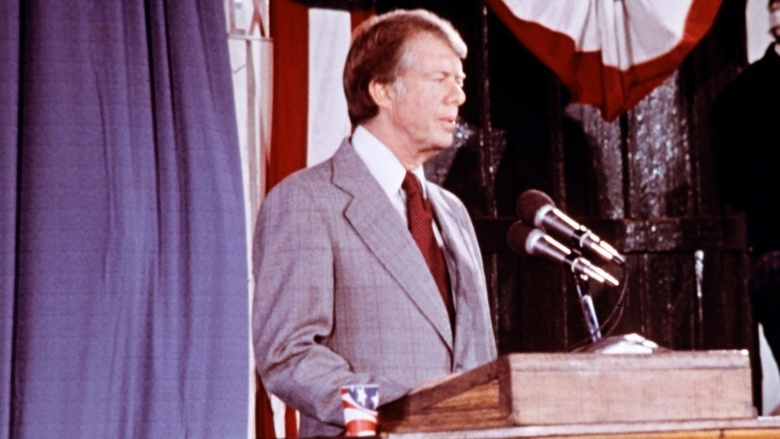 Carter actually filed a report on the incident in 1973, and made UFO research a big component of his successful presidential campaign in 1976. Carter ultimately backed off on said research by the time he got to the White House — releasing that information to the public, he thought, would have been a threat to national security, which only made him seem that much more paranoid. However, decades later, Carter stood by his alleged sighting, recounting his experience in a 2007 interview with CNN. By that point, though, Carter claimed it was "impossible" that the unidentified object was actually aliens. Which, yeah, crazy. He may be immortalized on Mount Rushmore, but when it came to public speaking, even a nervous first-grader could have wiped the floor with him. Who are we talking about? Oh, just Founding Father and third U.S. President Thomas Jefferson. That's right, while Jefferson was an excellent writer — as evidenced by the Declaration of Independence — he reportedly suffered from crippling stage fright. As a lawyer, he struggled to even present cases, and he never even spoke during the monumental Second Continental Congress. "I never heard him utter three sentences together," claimed colleague and future second U.S. President John Adams. 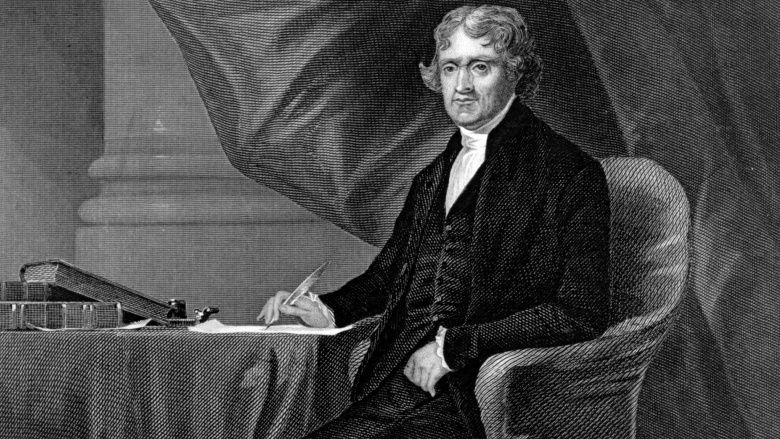 From what scholars can tell today, Jefferson may have only ever delivered two speeches himself — his two presidential inaugural addresses. Today, these speeches are among America's most famous inaugural addresses, but anyone who actually attended these speeches would have had a hard time telling you what they were about. Jefferson spoke so quietly that the people in the audience had to strain to hear him. Researchers from Duke University have concluded that Jefferson likely suffered from undiagnosed social phobia. So, for all you shy folks and shut-ins out there, you too can become president! If Jefferson could do it, so can you. You probably can't buy Louisiana again, though. 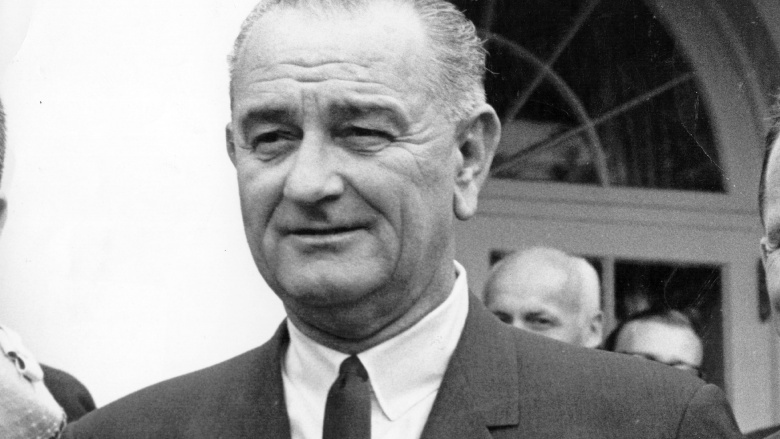 While Lyndon Baines Johnson was well-known for things like his "War on Poverty," signing the Voting Rights Act, or escalating the war in Vietnam, one part of his legacy is decidedly more perverted. According to information from Robert Caro's exhaustive biography The Years of Lyndon Johnson, LBJ wasn't remotely shy about his bodily functions—or his private parts. If the need to pee hit him, he'd whip out his member—which he affectionately dubbed "Jumbo"— and let loose right then and there, even if "there" was the parking lot of the U.S. House office building. He even was known to give dictation to staffers while moving his bowels on his private office toilet, but there's no word if this practice included unwavering eye-contact. According to notes by book reviewer Marshall Frady, if another legislator walked into a public restroom while Johnson was finishing his business, he'd turn around while brandishing "Jumbo," exclaiming, "Have you ever seen anything as big as this?" He also was fond of scratching or adjusting his dangly bits whenever the need struck, reaching ostentatiously into a pocket and unabashedly jiggling things around until everything was arranged to his satisfaction. So basically, it sounds like LBJ was a lot like our Uncle Earl—the one who can be counted on every Thanksgiving to drink an entire bottle of Canadian Mist before passing out pantsless on Grandma's couch while watching the big game. 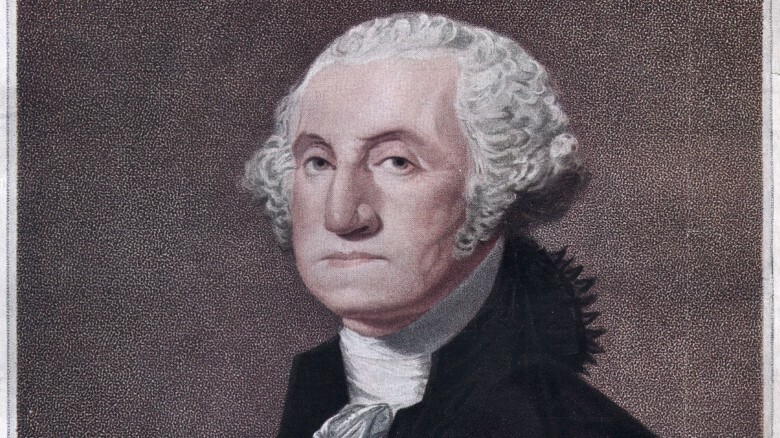 George Washington, the first U.S. president (just in case you forgot) lived in a time when drinking booze was both encouraged and pretty darn common. So it makes sense he would open a distillery at his home in Mount Vernon, Virginia. It may even make sense that it produced almost 11,000 gallons of whiskey in 1799, more than any other distillery in the U.S. at the time. So, this Founding Father was no teetotaler. In fact, many people have talked about Washington's propensity for adult beverages, including a pretty big bar tab he ran up at City Tavern, Philadelphia. The Mount Vernon website is quick to quote Washington, however, when he talked about moderation. The story goes that Washington had a carpenter named Thomas Green who was a pretty hard drinker. The site says Washington told him, "An aching head and trembling limbs … are the inevitable effects of drinking, disincline hands from work; hence begins sloth and that listlessness which ends in idleness." In other words, "up your tolerance, son." Washington didn't fire Green for being a raging drunk — dude just couldn't hold his drink. Washington could, however, and expected everyone else to as well. Also, while we're challenging expectations about our first president, you should be aware that that whole "chopping down a cherry tree" thing was a total myth. Andrew Jackson may have been responsible for the atrocities of the Trail of Tears, and may have been a notorious brawler, but apparently he had a whimsical side as well. As the story goes, Jackson taught his pet parrot, Poll, to cuss up a storm. At his funeral, the parrot swore so profusely that attendees were shocked, and Poll had to be removed. The Reverend William Menefee Norment wrote a book about Jackson and, according to him, Poll went off. 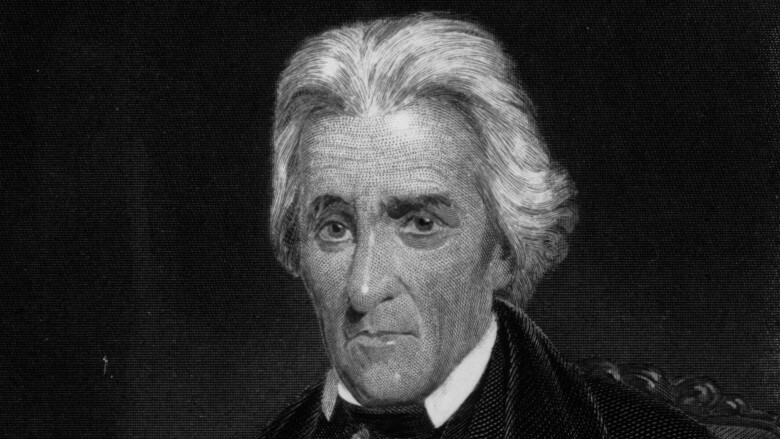 According to the book Andrew Jackson and Early Tennessee History, thousands of people attended Jackson's funeral on June 10, 1845. On that day, the African gray parrot (a "wicked parrot" according to Norment") whom Jackson had purchased for his wife, but bonded with after her death, apparently unleashed a string of profanity so offensive, it had to be removed from the service. Now, the million dollar question is — did Jackson sit and work with the bird to teach it the curse words? Or did it just hear Jackson himself cuss a blue streak and the parrot picked it up? President Potty Mouth, perhaps? There is some debate about whether or not all this is true. If not, it's just a fun story to tell. Maybe it was all made up as a nice way to forget how awful Andrew Jackson was — after all, he's the president who really leaned into the debacle that was the Trail of Tears. Dwight Eisenhower, a highly decorated World War II general, did a lot of cool things when he was president. To blow off steam, he really liked to play golf. He loved it so much, in fact, he wanted to practice his putt closer to work and home, so he had a putting green installed in 1954. However, his predecessor President Truman was super in love with the local squirrels – he liked to feed them. 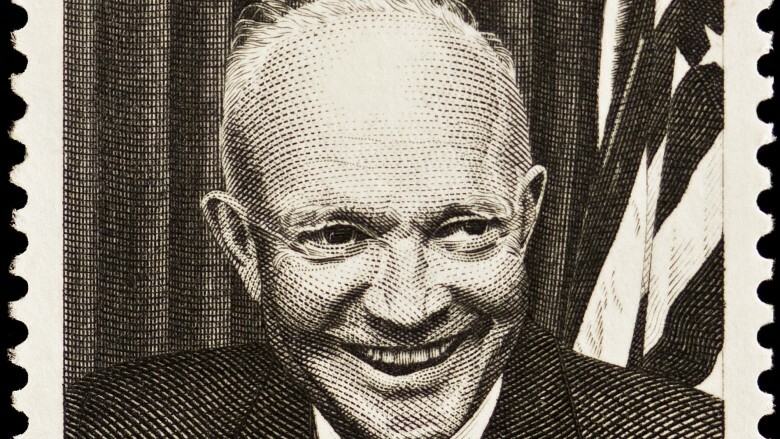 Truman's squirrels started burying nuts in the green, ticking off Eisenhower to no end. In his frustration, he joked that all the squirrels should be shot and told the groundskeeping staff to do something about the darn squirrels. The poor groundskeepers tried to scare them — the squirrels weren't scared. Then, the staff started a trap-and-release program, where they let the squirrels out in some park in DC. That didn't do much to keep the population down, but Eisenhower did get into some hot water for trying to "rehome" the little fuzzy-tailed rodents. His opponents, in particular, jumped right on it, saying he was an enemy of wildlife. Wildlife in general? Ike liked. But squirrels on his putting green? Ike did not like, and he wanted them gone. Astrology — it's not just for girls reading Teen Vogue or your crazy Aunt Linda. That's right, even one of our former presidents was a horoscope devotee. For years, the Reagans were known to be fans of the astrological arts. This interest in stargazing goes as far back as the '60s: when Reagan took office as California's governor in 1967, he was sworn in at a strange time: 12:10 a.m. Supposedly this time may have been chosen because the stars indicated it was particularly fortuitous. What started as mostly an innocent New Age hobby turned into an obsession for Nancy Reagan after March 30, 1981 — the day Ronald Reagan was shot. Reportedly, astrologer Joan Quigley had warned Nancy something bad would happen that day, and after the assassination attempt, Nancy became obsessed with her husband's safety, telling Quigley, "I'm scared every time he leaves the house." 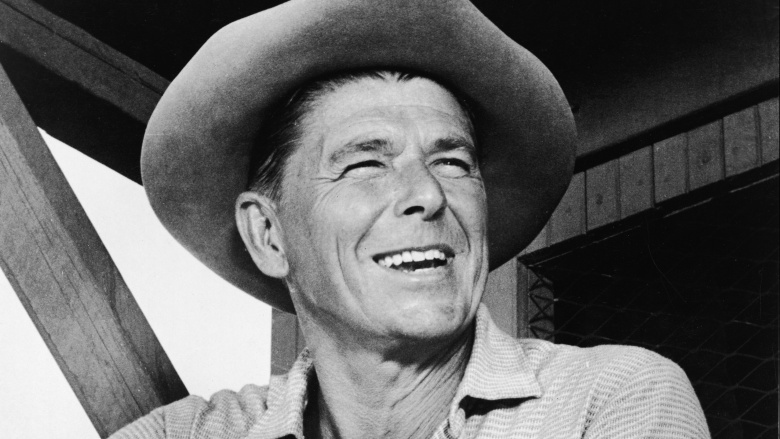 The Reagans came to depend on Quigley, with Nancy admitting in her memoir that the astrologer was consulted to help in "determining Ronnie's schedule." If the idea of a sitting president turning to a pseudoscience so to set his schedule scares the crap out of you, it may go even deeper than that. Another astrologer, Joyce Jillson, claimed she even helped pick George Bush as Reagan's running-mate. Additionally, Quigley alleged in her own memoir that her role was much larger than Nancy had let on. While President Reagan claimed that "No policy or decision in my mind has ever been influenced by astrology," in 1990 Quigley told the anchors of CBS' This Morning that "through Nancy, I really had a direct line to the president." To be honest, Quigley's claim makes a lot of sense in retrospect — if "Reaganomics" was actually inspired by messages in the stars, that could explain why it was such a disaster. We've heard about plenty of people resorting to alternative medicine to stay healthy, but Calvin Coolidge may ultimately take the cake. According to the (admittedly) sleazy-sounding book, White House: Confidential, our 30th president "enjoyed having petroleum jelly slathered on his head" every morning while he ate breakfast in bed. The reason: Coolidge apparently believed that somehow, some way, slabbing a bunch of Vaseline-esque jelly on his head over breakfast would be great for his health. 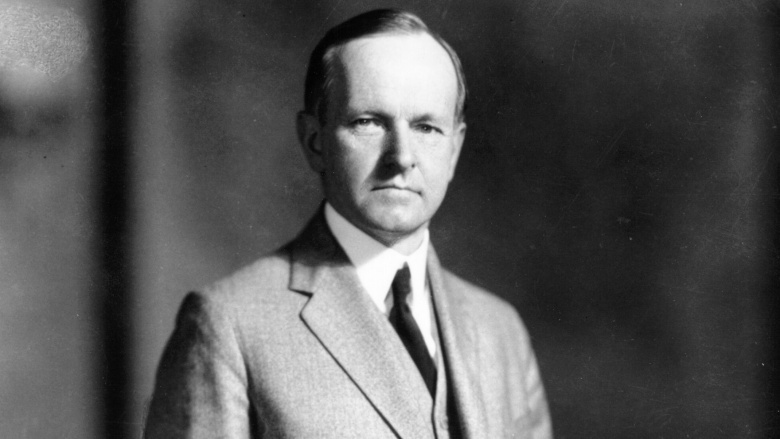 Incidentally, various reports also claimed that, while serving as Vice President, Coolidge acquired the nickname "Silent Cal" because he wasn't much of a casual talker. Which, after hearing about Coolidge's love affair with petroleum jelly, actually totally makes sense. 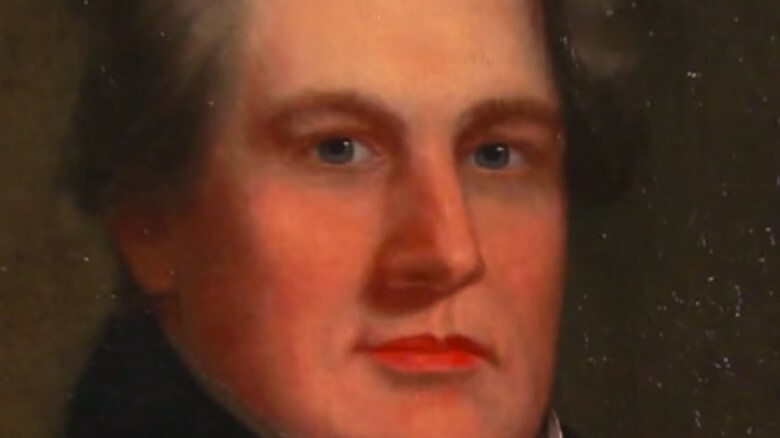 Millard Fillmore isn't one of the most memorable or popular presidents, but one thing about him is super weird and super cool. The cool part is that he loved books. See, he grew up in a really poor family, and the family owned a total of three books when he was growing up — a Bible, an almanac, and a hymnal. 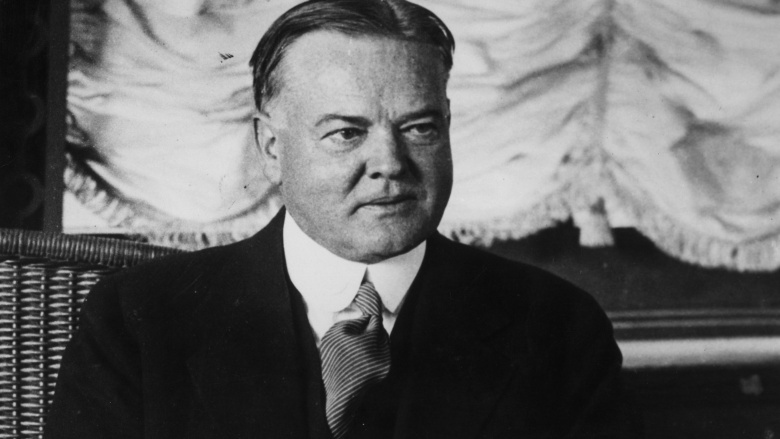 Fillmore ended up loving books, however, and he and his wife actually formed the first White House permanent library. He even spent White House money on the first book (a dictionary) before the budget for the library was even approved by Congress. Fillmore loved books so much that, on Christmas Eve morning in 1851, he literally risked his life for them. The story goes that on that particular day, fire chiefs alerted our nation's capital that the Library of Congress was on fire. What started the fire? They didn't know then and we don't know now, but Fillmore hopped on one of the fire engines (horse-drawn, because it was a long time ago) to pitch in and help. Inspired by Fillmore's bravery, a few Congressmen and cabinet members joined in, too. Fillmore also ordered the bucket brigade from the nearby local Navy yard to help out. It took until noon the next day to extinguish the flames, and in the end, 35,000 books were lost. Fillmore, book-lover that he was, rebuilt the library. Yep, Fillmore risked his life (and his budget) for the love of books. Our kind of dude. 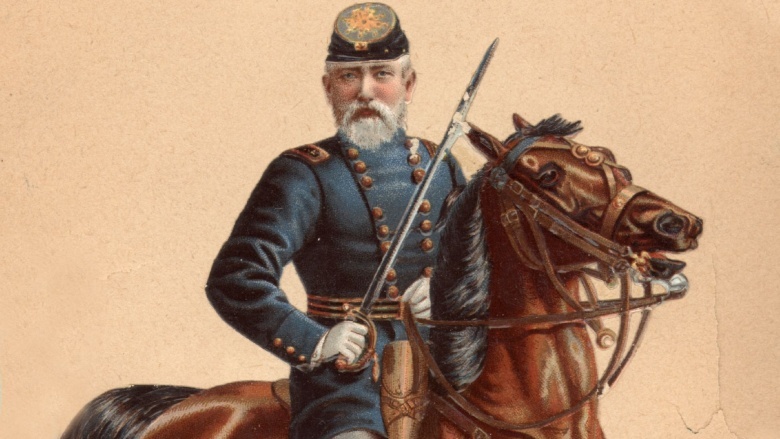 When President Benjamin Harrison first took office in 1889, there wasn't yet electricity in the White House — all illumination was provided by gaslights. But even though Harrison oversaw the installation of electric lighting into the executive residence in 1891, he and his wife refused to touch any of the light switches themselves. This wasn't out of vanity or disdain for menial tasks—the couple were genuinely afraid of being electrocuted by the newfangled technology. According to White House History, "few people at the time had enough faith in electric lighting to use it exclusively — its use was barely a decade old." Put that way, we can kind of understand Harrison's fear of going boom just because he wanted a little extra light — we all know that one old person convinced their cell phone is going to kill them, or that going outside with wet hair will give them pneumonia. 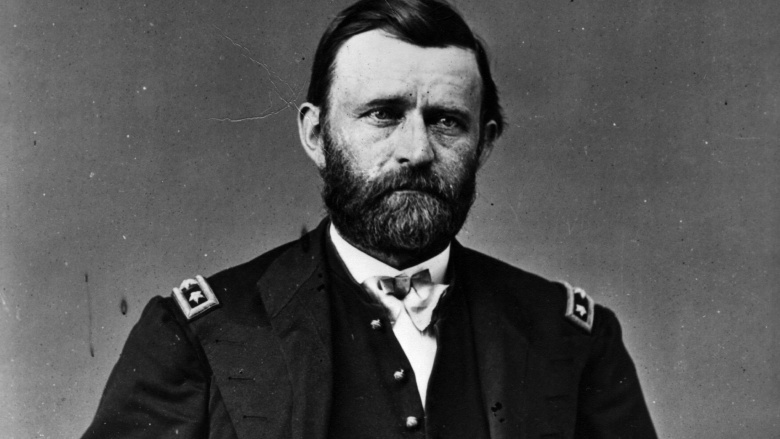 Would you believe that former General Ulysses S. Grant — commonly called a "bloody butcher" because of his battle tactics — was actually a would-be pacifist? Reportedly, Grant was not as much of a fan of violence as you might expect from observing just about anything he ever did. He claimed that he detested war, and even had an aversion to guns. Additionally, according to a PBS biography of the 18th president, "He despised killing animals and hated blood so much he refused to eat meat unless it was charred." When he ran for election, his campaign slogan was actually "Let Us Have Peace." When he won, America had a Republican president, with anti-war and anti-gun views, who despised killing animals and hated eating meat. It just goes to show you how much the political parties of the U.S. have changed since then. Stop us if you've heard this one before: A man walks into a store and gets the largest tub of butter he can find. When he checks out, the cashier asks him, "what are you going to do with all that butter?" The man replies, "it's a secret, and I'd butter not spread it around." That's a bad joke, but one White House staffers during the Taft era might've used to conceal the embarrassing truth. 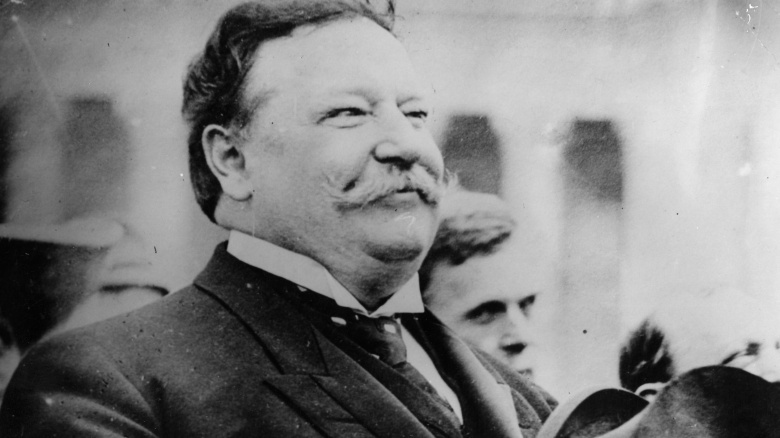 That's because, for the last century-plus, a story has gone around that William Taft, our largest president, once got stuck in a bathtub and had to be prised out by four men and the aid of a pound of butter. The rumor has been so pervasive, it's even spawned its own children's book. There's no hard evidence this actually happened, as it's based solely on the claim of a long-time White House usher in his autobiography. But there's plenty of evidence that Taft did have oversized bathtubs made for him. 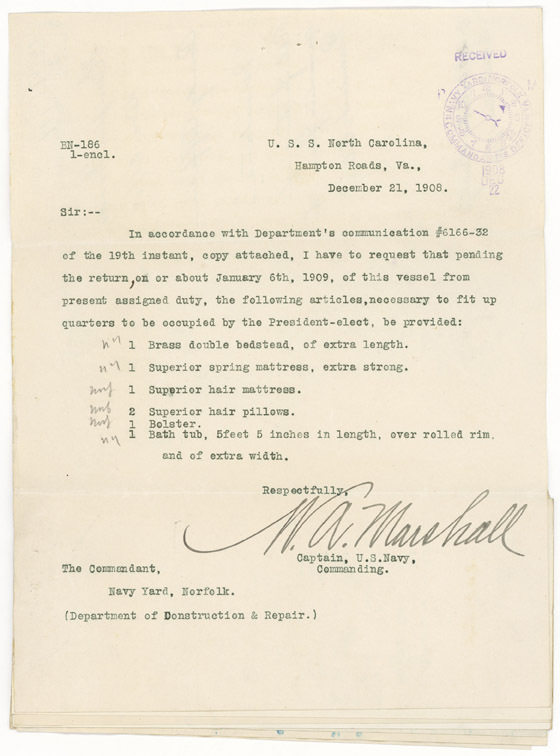 The USS North Carolina had to outfit a cabin with an extra-wide bathtub for Taft's trip to the Panama Canal and, according to a 1909 issue of Engineering Review, a Manhattan company custom-made the tub with "pondlike dimensions" for the journey. You know you've eaten too much ham when your bathtub gets accurately described as a pond. After Taft's return to the States, the 7'1" long tub was removed and sent to the White House, where it faithfully served him for the remainder of his presidency. No, that title doesn't mean what you think it means—Hoover wasn't secretly gay, and he wasn't an R. Kelly fan (that we know of). Actually, it refers to the primarily African-American servants who worked at the White House during Hoover's term in office. According to long-time White House correspondent Kenneth Walsh, Hoover and his wife didn't want to see the staff doing their work in the executive residence, and didn't wish for the staff to see them, either. As a result, workers in the White House developed a system for avoiding Hoover or the First Lady. Walsh explains, "sometimes they'd ring a bell a couple of times that it was the president, three times if it was the first lady. And they'd pile into closets, they'd hide behind bushes so the president couldn't see them." This set a precedent, with servants hiding from the president and his family through the next several administrations, until Harry Truman noticed and put a stop to it. What we want to know is, what was a maid to do when cleaning the presidential bathroom and they heard Hoover's footsteps coming. Did they risk his wrath by being spotted, or did they duck behind the shower curtain while he did his presidential business? President Warren Harding often felt overwhelmed by the pressures of his job, and he turned to more recreational pastimes to blow off steam. When he needed a break, he'd call in his "Ohio gang," a group of crooked politicians that he enjoyed playing poker and drinking booze with. Because who makes for a better gambling buddy than a crooked cheat with no morals and fewer scruples? Teddy Roosevelt's daughter, Alice, described the atmosphere at these games: "The study was filled with cronies, the air heavy with tobacco smoke, trays with bottles containing every imaginable brand of whiskey, cards and poker chips ready at hand — a general atmosphere of waistcoat unbuttoned, feet on the desk, and spittoons alongside." 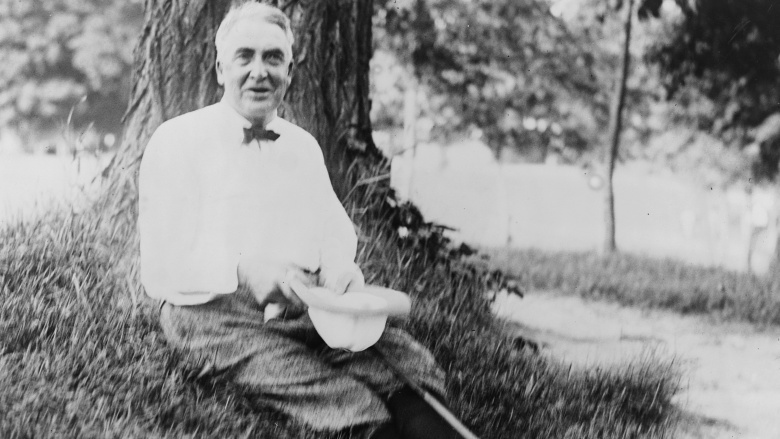 While President Harding certainly enjoyed himself, there was just one big problem — he wasn't that great at poker. Apparently Harding didn't know when to hold 'em, or when to fold 'em — he got in so deep during one game, he ended up gambling away the official White House china. Oops! John F. Kennedy may have been one of the most charming and good-looking U.S. presidents in history, but behind closed doors, he was battling multiple illnesses, and used just as many drugs to treat them. 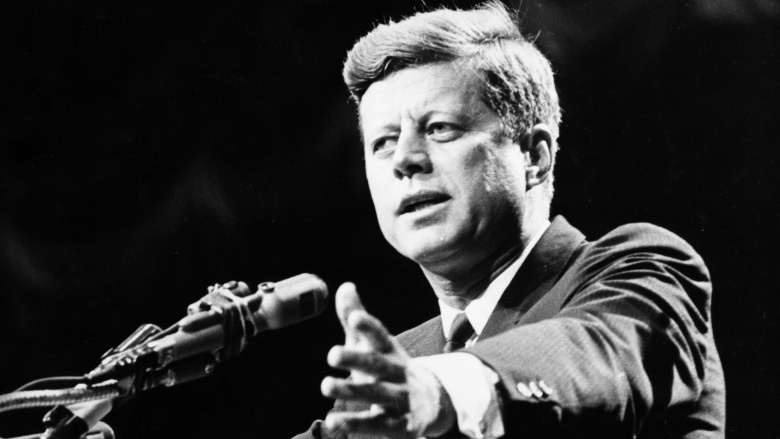 Kennedy's secrets were uncovered by Boston University history professor Robert Dallek, who revealed in his book, An Unfinished Life: John F. Kennedy, 1917-1963, that Kennedy suffered from colitis, prostatitis, Addison's disease and osteoporosis of the lower back, among other things. "There was hardly a day that went by that he didn't suffer terribly," Dallek told Good Morning America. According to Dallek, Kennedy frequently took drugs ranging from codeine, to Ritalin and a thyroid hormone. "To fight the pain, Kennedy took as many as 12 medications at once, taking more during times of stress," ABC News reported. 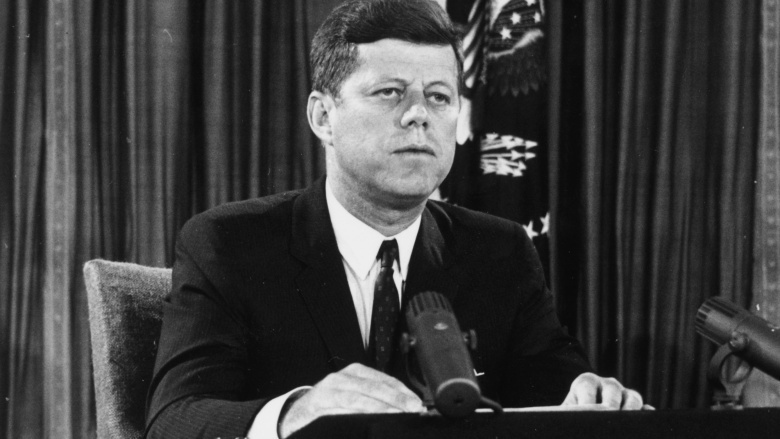 In fact, during the both the Bay of Pigs scandal and the Cuban Missile Crisis, Dallek says that Kennedy was on multiple drugs to treat his various pains and illnesses. At one point, he even took anti-anxiety medications to treat the side effects of some of his other drugs, according to the report. Shockingly enough, Dallek says that, despite Kennedy's overflowing medicine cabinet, he was mostly able to keep his ailments a secret from the public, often out of fear that the news would damage his political campaigns. Fair enough. But we're pretty sure there's a pill for that.